If you are looking for information on the Philly Dawgz franchise business opportunity, Philly Dawgz franchises or Philly Dawgz franchising, then you have come to the right place. Yet, with every question asked, Kloeber had an answer that quickly dispelled those concerns. 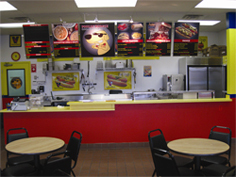 A Philly Dawgz franchise doesn't require a kitchen, chefs, or extensive equipment, space or staff. In fact, you don't even need food or restaurant experience. 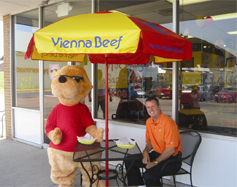 It's a franchisee's - and landlord's - dream. Hot dogs are a $5 billion+ industry and, arguably, the 'best of the best' are made in Chicago, home to more than 2,000 hot dog establishments, ranging from street vendors to specialty places. The secret to a great Chicago-style hot dog is more than just the 100% Vienna beef - it's the preparation. Using a simple steaming method, food is cooked to perfection every time, and you don't need a kitchen or specialty chef to prepare it. Hot dogs are the anchor of the business, accounting for about 65% of sales, but Philly Dawgz is more than just hot dogs. 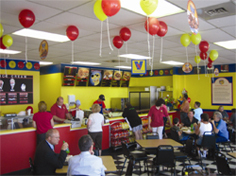 Customers come for the dogs but come back for other favorites, including Italian beef sandwiches, barbecue items, Latin fare, and great soups and sides.